US-China trade talks: Will the Chinese keep their promises this time? 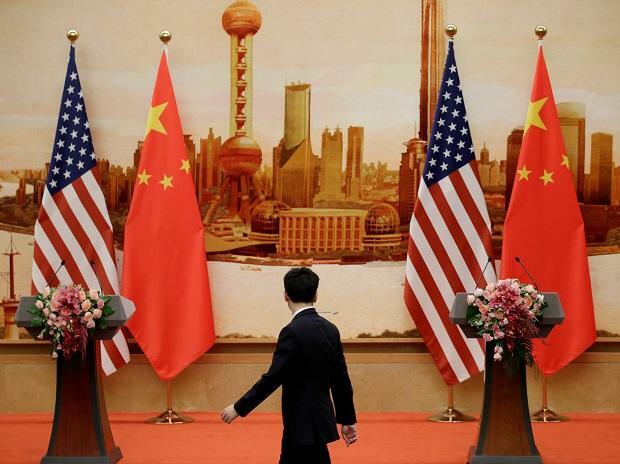 Talks between the US and China to end the trade war appear to be in trouble with the March 2 deadline for a deal fast approaching. In the ongoing trade talks between the US and China, a lack of trust – key to any successful negotiation – appears to be hobbling the ability to reach a deal. Hence it is not clear negotiators will be able to achieve anything substantive before they hit President Donald Trump’s deadline, triggering automatic tariff hikes if there’s no agreement. As a trade economist, I believe the answer to the trust conundrum lies in learning from an international body the president disdains: the World Trade Organization. From the American perspective, a key issue is that in the past the Chinese have made all sorts of promises to address US concerns that they later reneged on. Or, China has taken so long to act that when it finally did it made little difference. Several examples of Chinese promises going unkept readily come to mind. When China joined the World Trade Organization in 2001, it was given “developing country” status. This allowed China to levy high tariffs on imports from the US and Europe even as it benefited from low duties on its exports. The understanding at that time was that as its economy grew, China would gradually adopt market-based economic principles and commit itself to the basic tenets of liberalized trade and globalization. But this has not happened. Sometime after China joined the WTO, the country imposed a 21 percent to 30 percent tariff on cars. It was only this past December, and under pressure because of the current trade talks, that the Chinese finally agreed to temporarily reduce the tariff to 15 percent. In contrast, the corresponding US tariff on Chinese auto imports has long been 2.5 percent. More generally, also after becoming a WTO member, China promised to open up its banking, telecommunications and electronic payment processing sectors. But action in these areas has either been non-existent or half-hearted. Even now, the Chinese telecommunications industry remains very much under government control, and the government has effectively precluded Facebook and Google from offering their services in China. Concerns about the reliability of the Chinese are not limited to economic and technological matters. To see this, note that on a state visit to the US in 2015, President Xi Jinping promised not to militarize the artificial islands on disputed reefs that the Chinese were building in the South China Sea. However, we now have clear evidence that he has done exactly what he promised he would not do. Given all this, I believe it would be rather naïve on the part of the US to agree to any Chinese promises in the current trade talks without also building a robust enforcement mechanism into any deal. Indeed, the negotiators themselves seem to understand this, but difficulty finding a way to enforce any agreements – both past and present – is making it harder to come to a deal. And that’s where the WTO and its enforcement mechanisms come in. For example, China agreed to just such a mechanism with its WTO ascension. This enforcement rule permitted a nation to automatically levy tariffs on certain Chinese goods and services if that country’s domestic market was hurt by those same exports. Unfortunately, like most WTO rules, this rule had a finite life and was allowed to lapse at the end in 2013. Even though this mechanism has been infrequently used, President Barack Obama took advantage of it with some success in 2009 to impose tariffs on Chinese-made tires that were harming US manufacturers. If such an enforcement mechanism can be built into a trade deal, then the US would not have to plead its case before some international body before it retaliated against the Chinese. Instead, when confronted with one or more broken promises, it would have the legal right to act unilaterally to hold China accountable. That said, since the current negotiations are between two sovereign nations, the key is to devise an enforcement mechanism that is agreeable to both the US and China. Only then will a resulting trade deal be self-enforcing. Since the US and China are both members of the WTO, another but less potent enforcement mechanism would lie in utilizing its dispute settlement mechanism to address any disagreements that may arise after a deal is reached. The US has had success in the past in using this WTO mechanism as well to hold China accountable. The US now has an opportunity to conclude a meaningful trade deal with China that also has enforcement built into it. Therefore, the American negotiators ought to seize this opportunity and ensure a deal isn’t backed primarily by Chinese promises. Otherwise, it won’t be the last time a US president fumes about unfair Chinese trading practices.